This week's great topic for Listicles was brought to you by Jessica, of Jessee's Spot: Ten names we considered for Sprout. Note, I say we, because this list is not entirely my ideas. I vetoed several of my husband's contributions, in fact. Naming Sprout was one of the hardest things to do. I wanted a name that was distinctive, without being really weird. Something that picked up on some of our ethnic background, though with Welsh, English, French, Belgian, Swedish, German & Polish in the mix, this was a tall order. We wrestled with names all the way through the pregnancy & didn't actually settle on Sprout's official name until he was a week old. We still rarely use it & he's only recently started to recognize it as his name, at the age of two. Anyway, here's our list, annotated with what I found on the origins & famous people with the same names. Bastien (I prefer the french spelling) - short form of Sebastian, of Greek origin, meaning "revered". The original form of this name referred to those from a particular city or region of Asia minor, whose Greek name was from the Latin imperial title "Augustus". Saint Sebastian, probably a native of that place, was a third-century martyred centurion who became patron saint of soldiers. Shakespeare gave the name to the twin brother of Viola in "Twelfth Night". British use since the 1940s may have been influenced by a character in Evelyn Waugh's popular "Brideshead Revisited". Sebastien is popular in France. Byron (as a middle name perhaps) - of Old English origin, meaning "at the byres or barn". Place name & surname often used as a given name. Lord Byron in the 1850s was a poet famous for his wildness & debauchery. Literary: the variant form Biron was the name of a character in Shakespeare's "Love's Labours Lost". Falco (also "Falcon", the name of "Balloon Boy") - of Latin origin. A surname having to do with falconry. Who could forget the famous Austrian 80s glam-pop artist, Falco? "Rock me Amadeus!" Falke is a German form.This particular name lost because of the initials it would produce. No matter what the middle name was, when combined with our surnames you get: F_C-K. Not going to lay that one on my child. Haldor - from the Old Norse name Hallþórr, which meant "Thor's rock". Hallr "rock", combined with the name of the Norse god Þórr (Thor). Also a character (?) in World of Warcraft: "Haldor the Compulsive". A very manly name. Maybe too manly. Joachim (German pronunciation: yo-AH-km) - of Hebrew origin, meaning "established by God". Short form of the Hebrew name Jehoichin. According to medieval Catholic tradition, Joachim was the name of the Virgin Mary's father. Composer Josquin Des Pres; actor Joaquin Phoenix. Not sure anyone would ever pronounce it the way we would. Also a bit too religious for my tastes. Kiefer - of German origin, meaning "barrel maker". Variant of Cooper. "Kiefer" also means pine tree in German. Celebrity association: the ever-scrappy actor Kiefer Sutherland. Also the name of our friends' giant black hairy dog. Lyndon - of Old English origin, meaning "linden tree hill". Often a surname. American President Lyndon Baines Johnson, Canadian journalist Linden MacIntyre. But not because of Trevor Linden. Maximilian - of Latin origin, meaning "greatest". The name of three Roman emperors & various saints. Popular in Germany. Interestingly enough, there are tons of variants on this name: Mac, Mack, Maks, Maksim, Maksym, Maksymilian, Massimiliano, Massimo, Max, Maxey, Maxemilian, Maxemilion, Maxie, Maxim, Maxime, Maximilian, Maximiliano, Maximilianus, Maximilien, Maximillian, Maximino, Maximo, Maximos, Maxy, Maxymilian & Maxymillian. Oren - of Hebrew, Irish and Gaelic origin, meaning "ash or pine tree; fair, pale". Was somewhat popular in the US about a hundred years ago. Also spelled "Orin", which happens to be one of my favourite varieties of apple. Considering how fair Sprout turned out to be, this would have been an appropriate name. Stirling - a variant of Sterling (English), meaning "genuine, of high quality". Also sounds a bit like the annoying, raspy little starling, an invasive species brought from England. This name felt just a tiny bit too pretentious somehow. The winner of the name contest ended up being Linnaeus (lih-NAY-us) - The latinized surname of Karl Von Linne, the Swedish biologist who developed our current system of taxonomy. From what I remember, the name originally comes from the Linden tree, like #7 above. We also chose Bastien as a middle name. 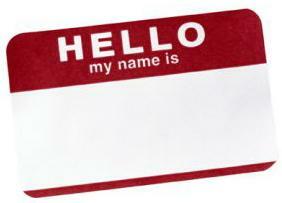 What names were in the running when you named your child(ren)? Share in the comments below! Nothing says “best gift ever” like a gray fox! Starting at just $40, Gifts of Canadian Nature help protect habitat for Canada’s native wildlife. A Gift of Canadian Nature lasts for years to come and is a gift that gives thrice! Once to the recipient with a personalized certificate and a beautiful calendar, once to the giver with a charitable tax receipt, and once to Canadian wildlife. This year we are featuring the snowy owl, the grizzly bear, the caribou, the gray fox and the Canada lynx. Click the image or follow this link for more information. It took us a week to name our little guy too...I loved the baby names book with all the meanings!! Naming the kids was the most enjoyable part for me. I would torture my wife with the most ridiculous names and watch her face. Love your explanations for all those names (and I get it - we looked up our choices as well and settled on Marius Lorenz for our son and Pauline Renae for our daughter). I love Vancouver and wish I could follow you on Instagram, but I have a BlackBerry and they dont't make the app for it (yet). I have ton of Vancouver pictures, we try to make it down there a couple times a year. Anyway - a good place to eat with kids is probably the Home Restaurant, by the Super 8 on Voght Street. The food is pretty decent (their open turkey and steak sandwich are really good) and the pricing is alright. I don't know about your kids, but my kids love stir fry and a Mongolian Grill just opened up... It's on the corner of Garcia and Nicola Avenue and it's called Mongos and it's fantastic. Lastly, if you come into town early enough there is Brambles Bakery and Cafe and they have awesome food. Soups, sandwiches etc, everything home-made. They are on Quilchena Avenue, in the block between Garcia and Charters. Thanks so much for the recommendations! We are usually in a bit of a rush to get where we're going, so we haven't really explored the town much. The shops & restaurants seem a bit spread out for a place so small. I'm used to the density of East Van, I guess. Interesting how you say that not much has changed there. I sometimes wonder if it would be a good idea to move to a small town--so much cheaper to buy a house--but I think part of what keeps me here is the constant change. There's always a new cafe or shop opening up, new programs at the community centres or with the city, tons of construction & development. I can see how people might like more stability though. Great names! I love uncommon names, which is why I went with Jakah and Jensen. Jakah--I've never seen that one. How do you pronounce it? That is one impressive list of names!! It took me forever to name my boy, and I'm still worried I should have spelled it differently, the girl I just knew one day and nothing could have changed my mind! Amazing names! I don't think I considered a single one of those - but I like them! Oh I love Keifer and Maximilion (sp)! Such great names! That's the thing with Maxmillian--there's a gajillion ways to spell it. Depends on which one you like. Creative...not ordinary and full of history. FABULOUS! I love his name! Thanks! So far, I think he does too. We'll see once he gets to the crucible of high school, but... fingers crossed! First time I hear Oren. Love the name you chose! !